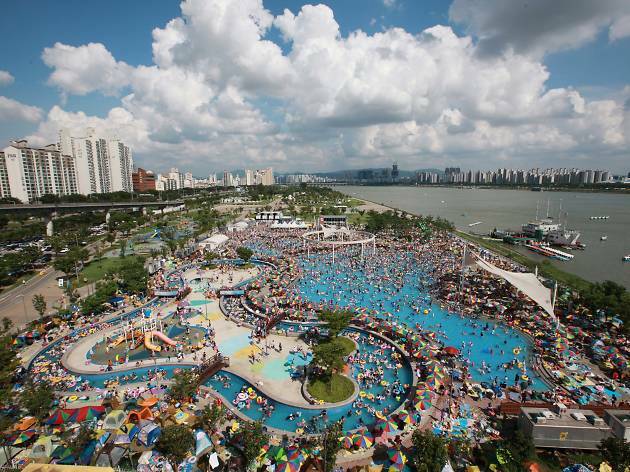 The most frequented of all eight pools along the river, there are lines to get in on busy days. 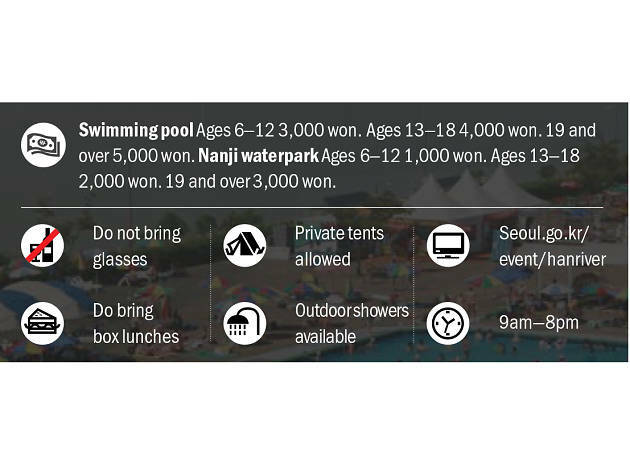 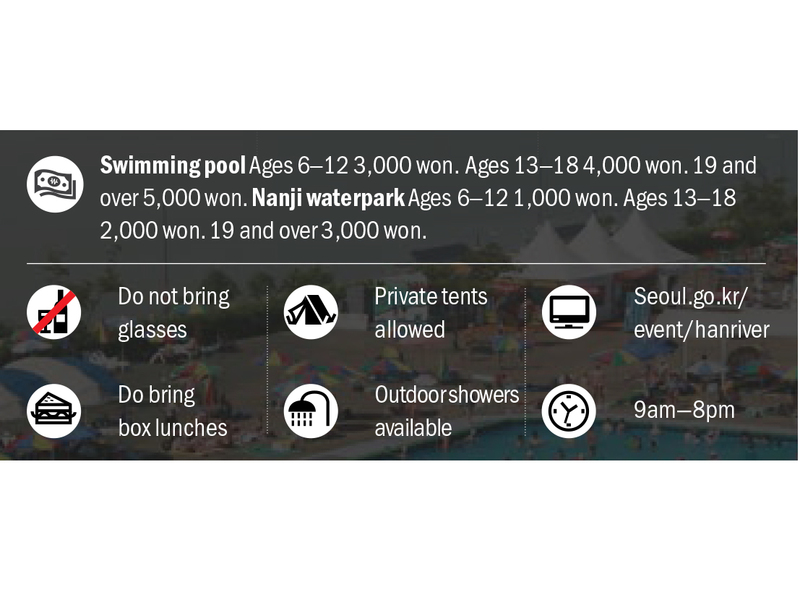 Equipped with water slides and an aqua ring that pours out copious amounts of water, the Ttuokseom Pool provides the definitive poolside chilling experience. 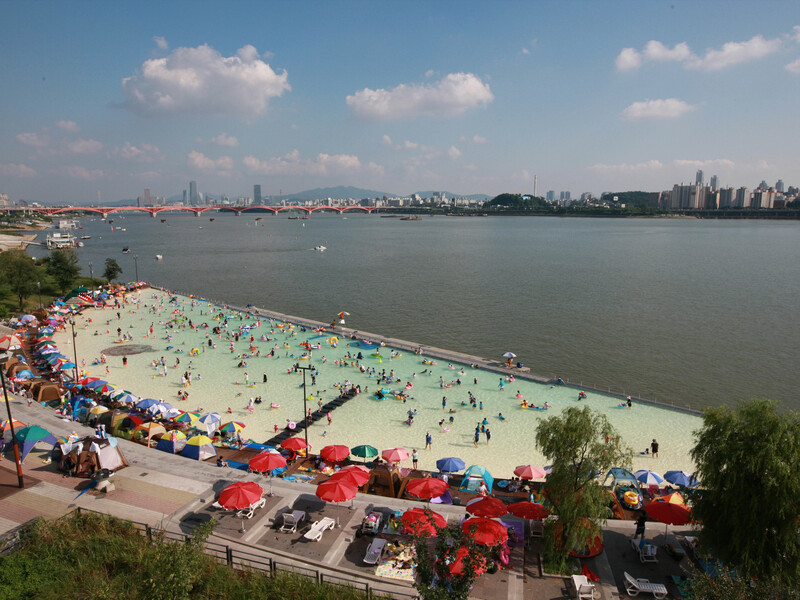 (Inside Ttukseom Han River Park)112, Jayang-dong, Gwangjin-gu.